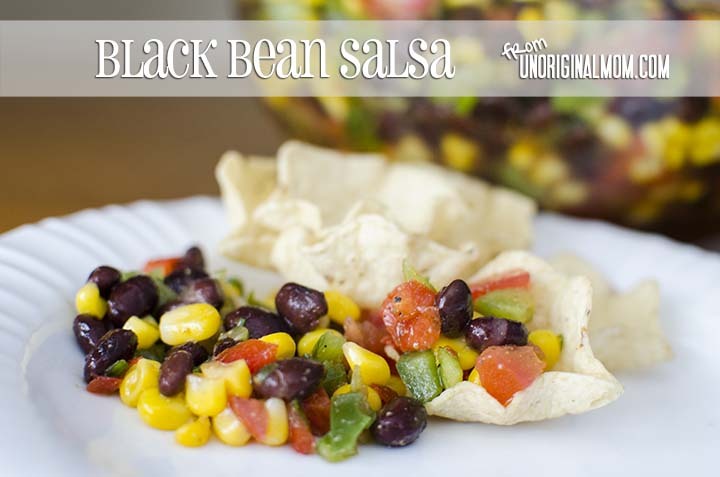 One of my favorite party and tailgating recipes (via our good family friend, Lisa Hackman) is Black Bean Salsa, and it is always a crowd-pleaser! At any given moment, you’ll find multiple people within arm’s reach of this dip. It’s that good! And the best part is, it’s guilt-free! 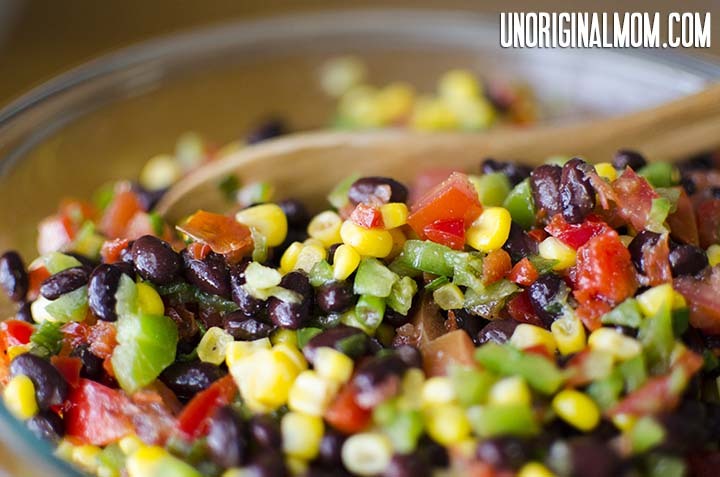 With black beans, corn, tomato, green & red pepper, and scallions, it is one of those rare “good-and-good-for-you” foods! I’ve found that this dip is best made a couple of hours in advance. 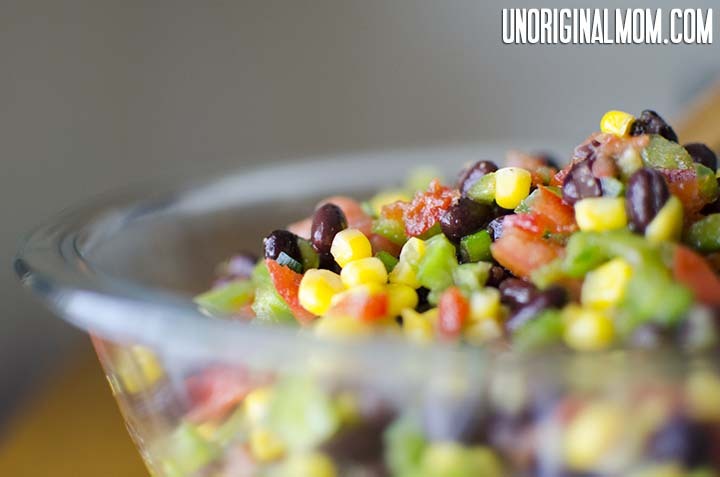 That gives time for the flavor to really settle throughout the dip. But it’s still delicious right after you stir it together (trust me, you won’t be able to resist a few bites before you put it in the fridge), and it is still great for one or two days afterward – if you have any leftover! 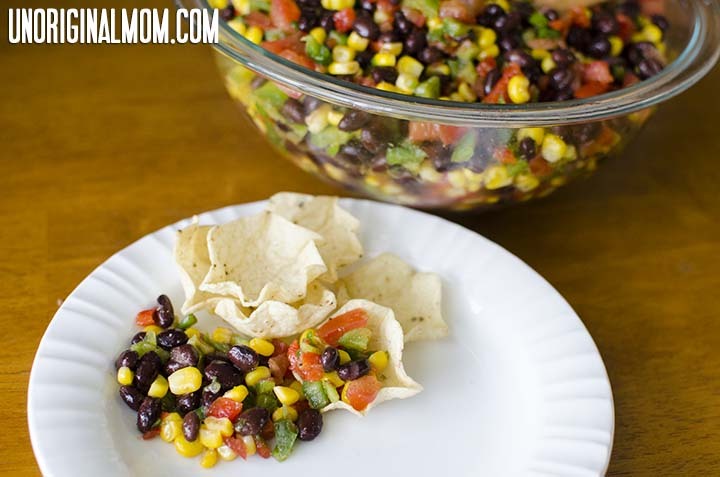 I usually serve it with some Tostitos Scoops (this is definitely a salsa that requires more than your typical flat tortilla chip), but it is also fantastic on tacos, quesadillas, grilled chicken or fish…you name it! 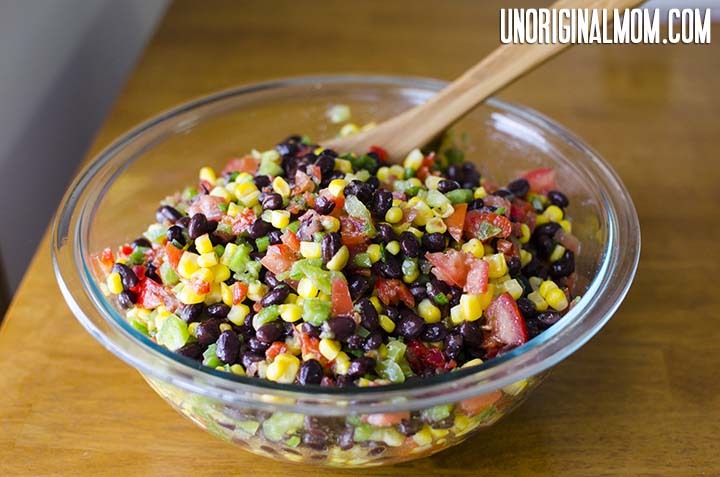 You could also tweak this recipe to add whatever else you want – avocado, cilantro, lime juice, jalapenos, etc. 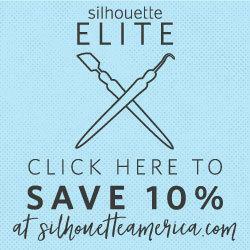 I have a feeling that after you make this one time, it will become a staple for your parties and tailgates as well! Hope you like it!